This entry was posted in Travel and tagged Airport, France, Nice, wi-fi on June 8, 2014 by Steve. 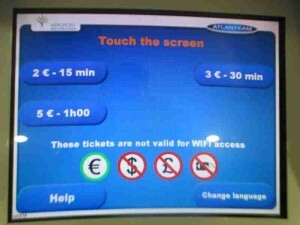 This is the Welcome Screen for the Malta Airport. I’d like to personally thank the operations team at the airport for giving me free Internet access while I waited for my flight to Sicily. Then, I’d like to ask my fellow citizens in (progressive) Norman, OK, especially our mayor who keeps sending me emails that I never opted into, why we don’t have free, city-wide Internet like they do in Ponca City? 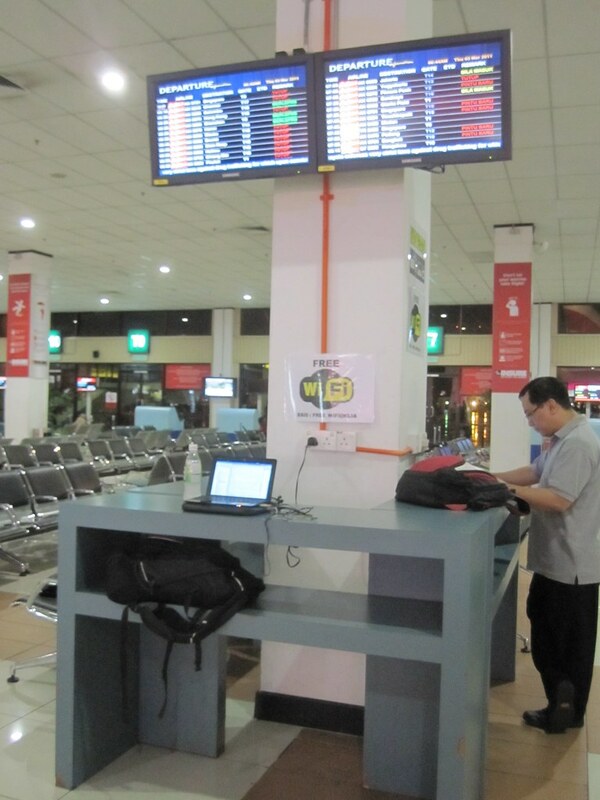 This entry was posted in Travel and tagged Airport, Malta, wi-fi on May 21, 2014 by Steve. 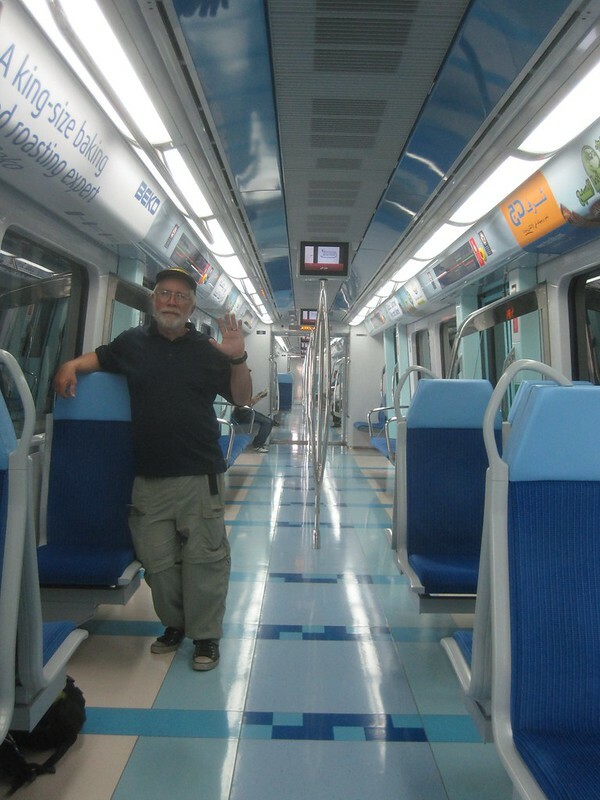 This is a picture of me on the Dubai Metro. I caught the metro from the airport into the center of town and then took a bus to the hostel where I was staying. The metro was cheap. I bought an all-day pass for $5 and it came with unlimited rides on the metro trains and the buses. The Dubai Metro is one of the best metros I have ever been on. It was very modern, very punctual and it was the first metro system that I had ever been on that had wi-fi on the metro trains. The picture is one I took when the train was relatively empty. It was rarely as empty as you see it here. I found that I often had to stand on the metro. It wasn’t as packed as I’ve seen some metros but it as often well occupied, especially in the more heavily traveled sections of the city. This entry was posted in Travel and tagged Dubai, Emirates, wi-fi on August 8, 2012 by Steve. I got lucky. I booked an $11 a night dorm room and it seems that the hostel was virtually empty, meaning I got the room all to myself. The hostel was nice. It was clean. The breakfast wasn’t very good, but it had some of the best tea I’ve ever had. The location was great. It was in a safe neighborhood with lots of eateries and only a few stairs away from the Pacific Ocean. The wi-fi worked well and the water stayed hot for a long time. What can you really expect for $11 a night? 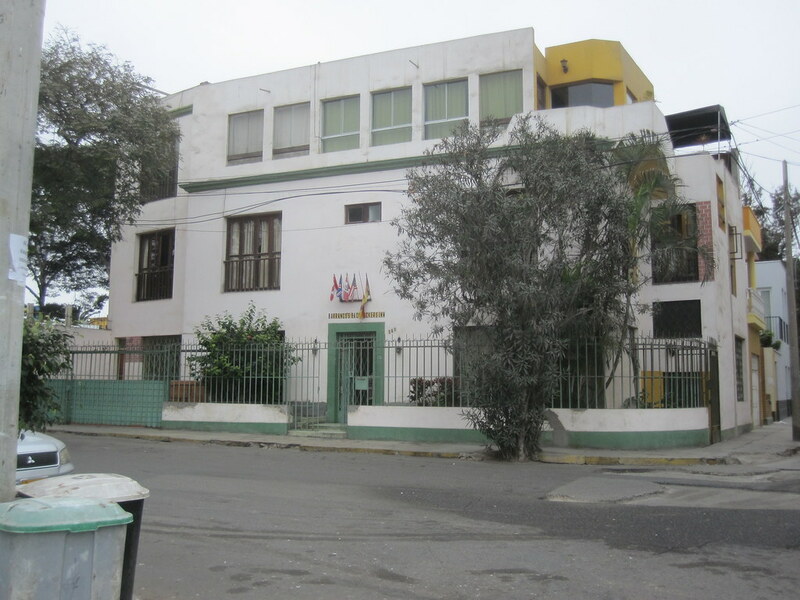 This entry was posted in Travel and tagged Hostel, Peru, wi-fi on September 21, 2011 by Steve. It’s time. I need to give some credit to McDonald’s. When I’m on the road and I feel like doing a little surfing while watching the local populace come and go, I go to McDonald’s. I find it very interesting. Everybody goes there. They’ve achieved a cult status outside the United States. We rag about them so much back home. They may get a worse rap than Wal-Mart. 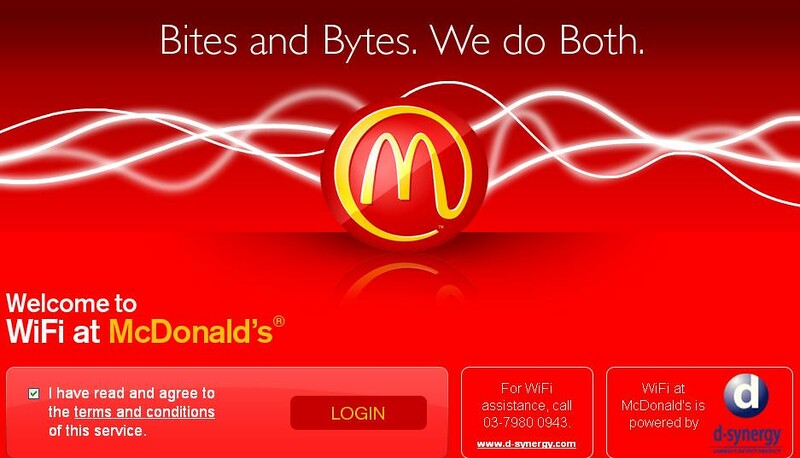 But I have to admit that they’ve given me a lot of free wi-fi time and I am taking his opportunity to thank them. Publicly. This entry was posted in Travel and tagged wi-fi on March 1, 2011 by Steve. 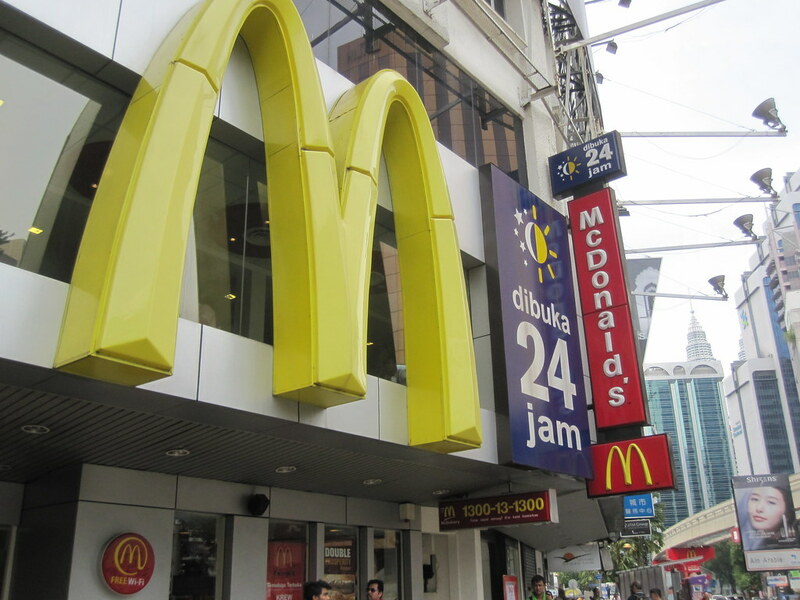 It’s a 24 hour McDonald’s burger joint located in Bukit Bintang Kuala Lumpur’s major hot-spot area, which is also known as the Golden Triangle. It’s where KL goes to shop, or at least people with money go to shop, which in KL is quite a few. I noticed the big wi-fi sign immediately. The price of a Big Mac meal during lunch hours – about $2.50 or so. 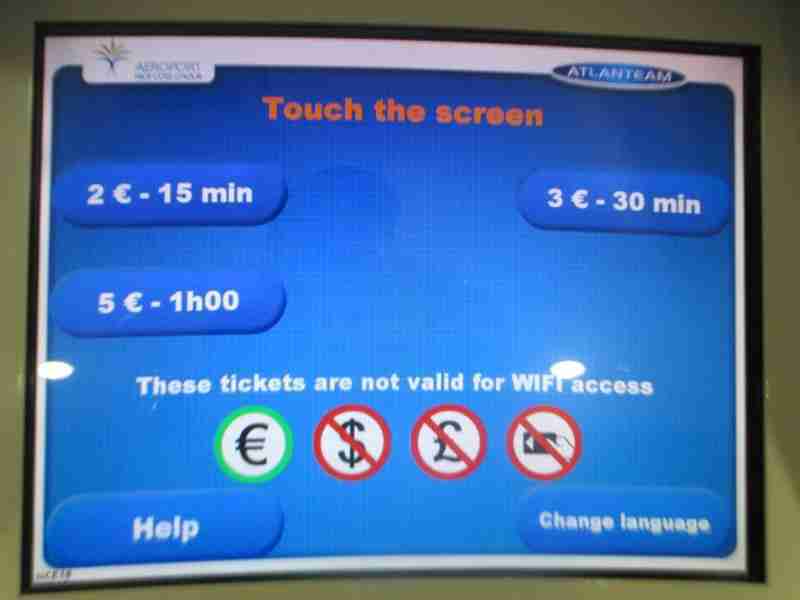 This entry was posted in Travel and tagged Kuala Lumpur, wi-fi on February 6, 2011 by Steve. 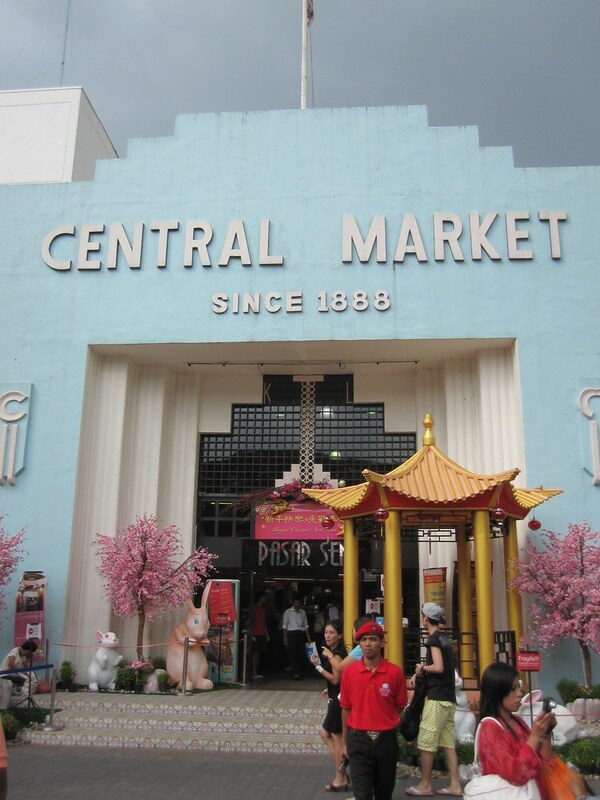 It’s the Central Market. I go there a lot to eat while I’m in Kuala LUmpur. They have a food court on the 2nd floor that has lots of cheap dining options and free wi-fi. My kinda’ place. This entry was posted in Travel and tagged Market, wi-fi on February 6, 2011 by Steve. It was my hotel in Udaipur, India. The word haveli in Indian means mansion. What happens is that the old mansions of a city are often converted into hotels. This hotel was great. It cost me about $16 a night and I felt it was worth it. The room was very modern and clean. I paid $2 extra each day for wi-fi, which was often spotty as to the reception. The restaurant upstairs had really great views, but the food was expensive and way-too-spicy. More often than not I only ate half of the dinner meal, making it way-too-expensive. I stayed in Udaipur for a couple of extra days instead of moving on to Mumbai because I had trouble finding a cheap hotel in Mumbai. Plus I got to ride on an overnight sleeper bus instead of an overnight train train. More about that later after it happens. 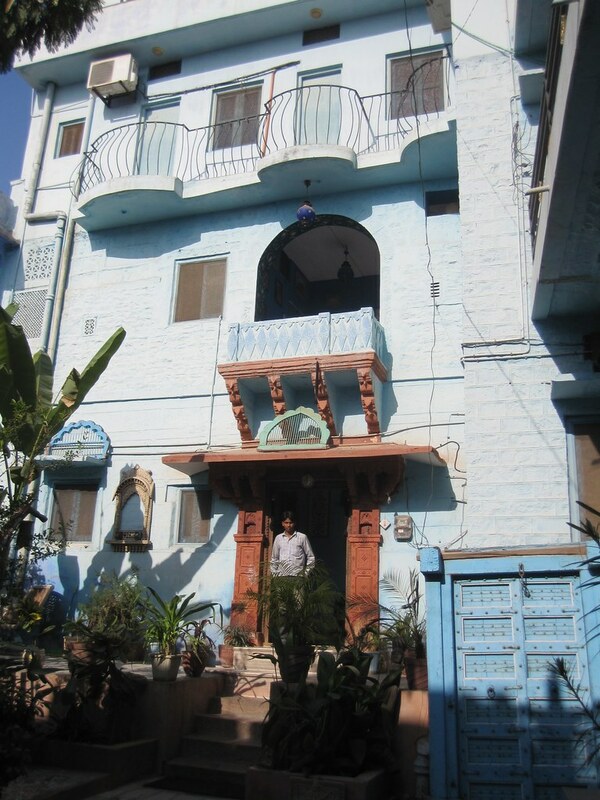 This entry was posted in Travel and tagged Udaipur, wi-fi on January 31, 2011 by Steve. 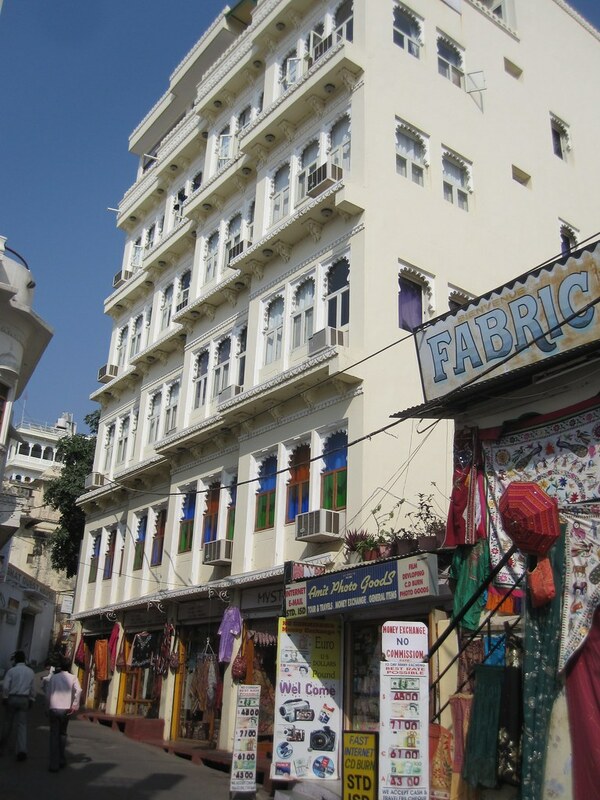 This entry was posted in Travel and tagged Jodhpur, wi-fi on January 30, 2011 by Steve.